Kershaw Decoy Knife 4700. 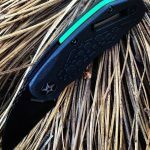 This folding knife is an all black sleek looking knife. The Decoy has an unusual straight blade on it, so you can really push down to cut. It is a 2.5-inch Wharncliffe blade. There is an extra long finger flipper to help open this knife up quickly, even though this is a manual style opening knife. The handle is glass-filled nylon with a textured and rubberized inlay to secure a better grip. Liner locking system. Why did they call it the Decoy? 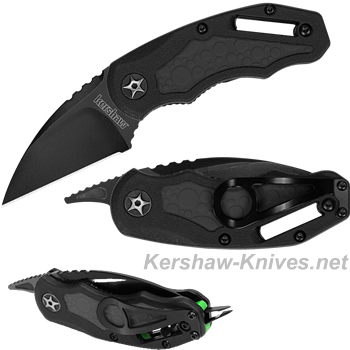 Kershaw has crafted a handy pair of pincers in the handle of the knife. No worries about losing them since they are built in, and they’re handy for picking up and holding small objects. Black pocket clip on the back.